Monthly Summaries | Yikes! No Carbs Please! 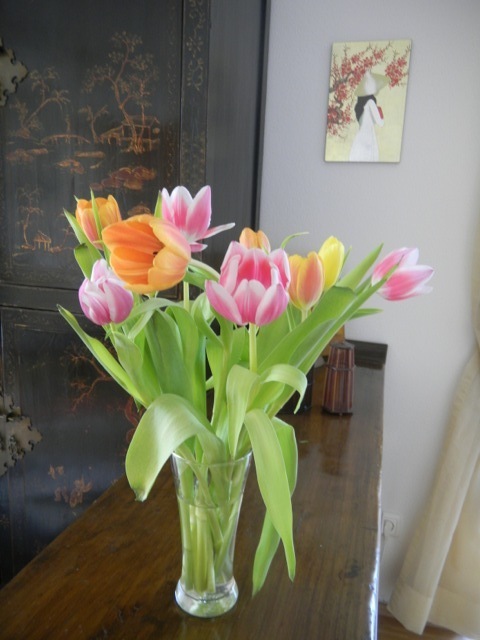 Spring is here – yay! The only person who was pleased with my increased Hb1AC was my doctor who said fluctuations are to be expected and he does not see a problem! Figure it’s time to increase my low carb meals. My problem is snacking. I get really hungry between meals and I don’t like eating raw veggies – so snacking on veggie sticks is out – as long as I can help it. Think I’ll have to eat more yoghurt with my very berry sauce. 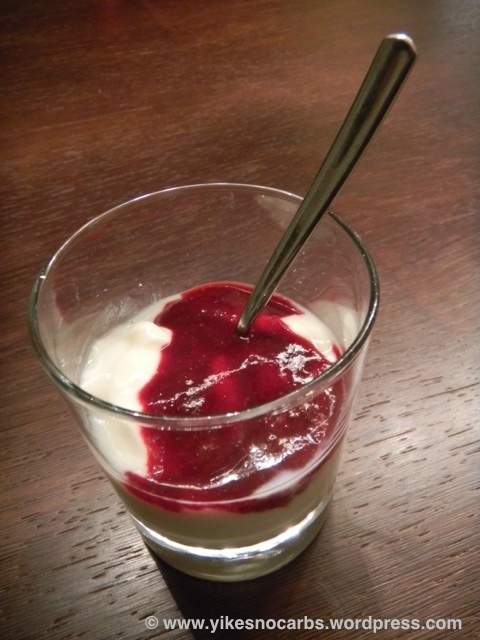 In my attempts to recreate something sweet but healthy, I stumbled on something which I really liked – eating a homemade berry sauce or coulis with soy yoghurt. Many years ago when I was first diagnosed as having diabetes, a doctor told me to just boil some fruit, puree it and use this as jam. I never did it because I felt making a small quantity would be too much trouble and a larger quantity would end up getting moldy in the fridge as I don’t eat jam everyday. Furthermore, jam is jellied fruit sauce and by just pureeing fruit, I would end up with a liquidy mixture. I was making a layered dessert not too long ago which called for pureeing some raspberries and then adding sugar and gelatin. The first time I made the dessert, I followed the recipe but the sauce did not thicken. The next time around, I decided to omit the sugar and gelatin because I was too lazy. As I don’t like raspberries too much because of the seeds which get stuck between your teeth, I sieved the puree and was surprised at how nice it tasted. Basically what I made was a raspberry coulis without sugar and lemon juice – just like what the doctor told me to do many years ago! Then I tried eating my sauce with different kinds of yoghurt – thick Greek yoghurt, plain yoghurt, 1.5% fat yoghurt and soy yoghurt. The Greek yoghurt and soy yoghurt tasted the best. I’ve tried to make my own soy yoghurt but that hasn’t succeeded (yet) so I’m now enjoying this with store-bought plain soy yoghurt. Divine! I sometimes eat a larger portion as a meal. Berry season is coming around soon so get ready! Here’s how you can make your own pure berry sauce. Get a box of frozen berries or a punnet of fresh berries – your choice. Frozen fruit is sold in 300 gr boxes here. I think frozen berries would work better. 300gr frozen berries yields about 200ml sauce. I’ve tried making my berry sauce with blueberries, strawberries, raspberries and mixed berries. All lovely! For frozen fruit, empty the contents into a saucepan. Heat up the pan and then turn down immediately to very low. Let the fruit gently cook till soft. Stir once in a while at the beginning when the frozen fruit have not yet emitted enough liquid. For fresh fruit, wash the fruit, cut into small pieces, if large, and put this in a saucepan with a little water – ¼ cup. Bring to a boil and quickly turn down the heat to very low. Let fruit simmer till soft. Do check it frequently to ensure that the fruit is cooking in liquid. If the fruit hasn’t emitted liquid yet, add a bit more water. Once fruit is soft, press through a strainer. This is the hard part. You want to get as much fruit sauce as possible out of this. Every drop is precious. When you are fed-up of pressing, discard the pulp. The rest should be kept in an air-tight jar in the fridge. Use as soon as possible. You could even fill an ice-cube tray with sauce, freeze and defrost cubes when required. Put a couple of teaspoons of sauce over your yoghurt and enjoy. Try to get a brand with little sugar or no sugar added if possible. The berries are sweet and tart enough to balance out any bland-tasting yoghurt. Of course, you can be imaginative and decorate with fresh fruit and nuts. You can use this sauce for all kinds of desserts which call for berry sauces. Totally yummy, pure fruit! Time for another quick look at how I’ve been faring. I wanted to get this written before the end of the year. In my last quarterly post, I mentioned that I would stop going on a full low-carb diet but only low carb occasionally. Well, it turned out to be very little low-carbing and when I got around to preparing for Christmas, that was the end of anything low-carb. 😦 This also explains the lack of any low-carb recipe posts. So it is no wonder that my latest Hb1Ac went from 6.1 to 6.2. Everything else tested in my blood test (Cholesterol, Triglycerides, etc, etc) were within the norm. I gave my doctor a disappointed look and he said I was over-reacting and indulging in carbs in moderation is very much allowed!! I think that is the key word – in moderation. 6.2 and 6.1 are already very good values, he added. Since my Hb1Ac value increased, I’ll have to be more strict and see what happens next quarter. My goal was to get my Hb1Ac down to 6.0 – I’m almost there but not quite. Looking back at my initial posts more than 3 years ago, I can now see that you can’t just listen to people and believe what you read. You need to try things for yourself and decide. It’s a good thing I did not get paranoid and aim for a 4.8 Hb1Ac which one author claimed was what he achieved on a low carb diet and which is the Hb1Ac of a ‘normal’ person. I think I would have probably died of hypoglycemia! Well, I’ll strive to be good for the next couple of months and let’s see what happens! Till then I wish everyone who has read this post this far a very Merry Christmas and a Happy New Year! Summer was great this year in Munich. Lots and lots of sun. And best of all, I was able to enjoy it. I quit my stressful job after deciding that this was not good for my health overall – long hours, working on weekends, unnecessary pressure, poor working conditions, no time for sports – all this led to bad eating habits which meant the need for more insulin and weight gain. I felt a burn-out coming on if I did not take action soon. So I was happy to have things go back to normal for me and the sun was waiting to be enjoyed. 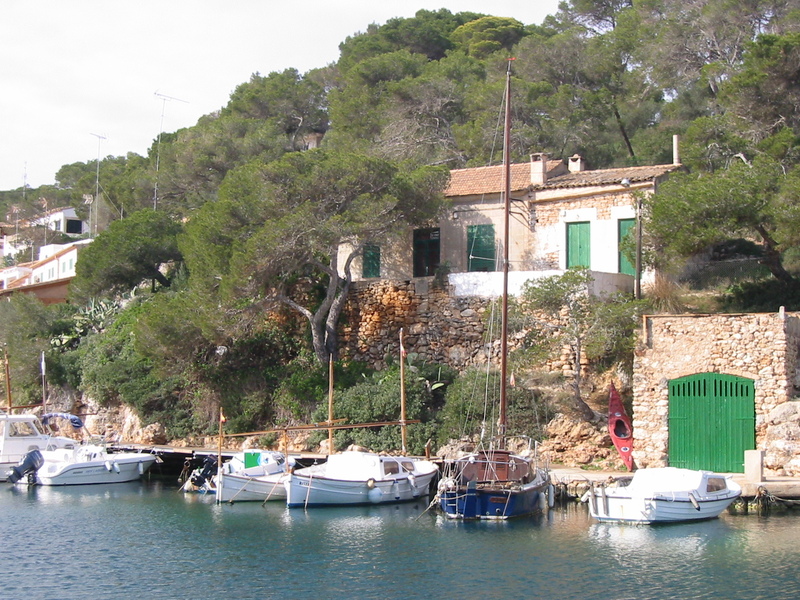 The great weather lasted till the end of August and when it started to get cold, we left for Spain, tanking in more sun. As usual during vacations, I broke away from my low carb diet. It was tapas or pintxos and wine almost every day (I figured I needed to let loose a bit after slaving away for the past 7 months). 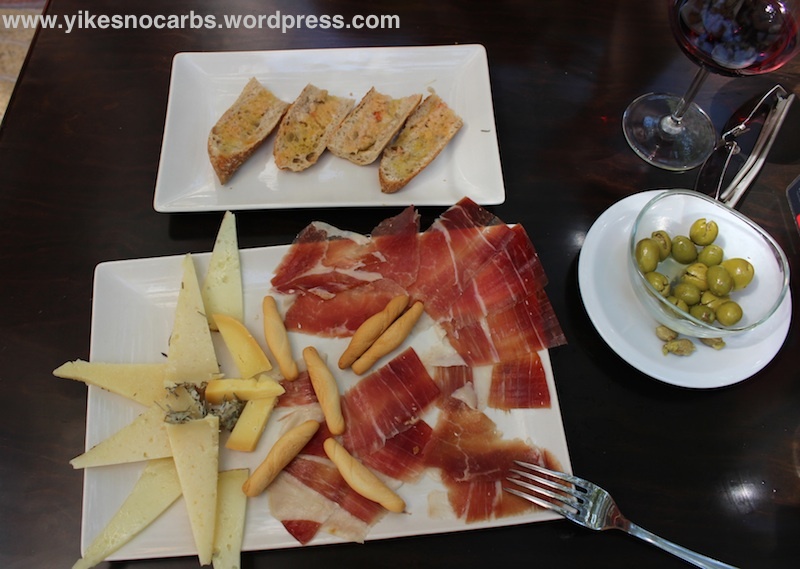 Surprisingly, it wasn’t so difficult to cut down on carbs eating tapas – just had to avoid the bread (although some things taste better with bread)! * coffee and toasted baguette with a combination of the above toppings. That’s what we had every day. In the back of my mind, I was worrying about what all the baguettes and croissants would do to my Hb1Ac when I went for my quarterly check-up. I wasn’t very consistent with checking my blood glucose levels. I find this difficult to do on vacation and kept forgetting. So it was with apprehension that I went for my doctor’s appointment on my return expecting a Hb1Ac value of 7 at least. 🙂 Whoppee, I came out looking like this smiley. It was 6.1. That’s the lowest I’ve ever had so far. What happened and what conclusion do I draw from this? Is a mixed diet i.e.. not strictly no carbs, better?? No idea. For the past 8 months, I have been eating carbs while at work and low carbing when I had time to cook at home – which wasn’t very often. I would come home totally exhausted and just did not have the energy to cook a proper meal for three. Besides, everyone else at home was a bit tired of my low carb substitutions. Once my daughter said to me ‘Mum, can’t you just cook regular food?’. I had to laugh at that. I’m now back to eating cauliflower rice and making low carb pasta and low carb bread. But I’m going to test and eat carbs from time to time but be aware of the amount I take. One thing I’ve noted is that I can’t be bothered with making all those low carb sweets and cakes I’ve posted before. Some of them, frankly speaking, really required adjusting to, taste-wise. With my main course staples, I seem to do pretty well. I wonder what the next check-up will reveal! Whew, three months of 2013 have already flown by. I started the year off with a new full-time job. It turned out to be more full-time than I had imagined. At the beginning, I would come home dead tired and still try to continue my usual household workload. I realised very quickly that that wouldn’t work and have since ‘outsourced’ various chores to my family members, to be specific, husband and daughter. That has been a bit of a relief but they can only do so much. My new job has obviously lead not only to a change in how the household is managed but also to my eating habits. I used to cook low carb meals for lunch and eat leftovers for dinner, cooking a teenager-friendly meal for my daughter in the evening. Everything has gone topsy-turvy now. When I get home, I don’t have time to think about making elaborate meals. Dinner has to be quick and teenager-friendly (not spicy, exotic or meatless!). I only have time to go shopping on Saturday afternoons and when I get to the supermarket, many of the ingredients for meals I had planned to cook for the coming week would be gone! Lunch in the office means eating out at one of the few poor-quality cafes in the office neighborhood. Sigh! To compensate for the increased carbs in my diet, I have had to inject more insulin. Somehow, the accumulated carbs in my body are leading to higher fasting blood glucose levels (110-140). I also started forgetting my basal insulin injections before going to bed cos I would be so tired, I just flopped into bed. The dismal readings really made me miserable. Sometimes I would over estimate the carbs, inject more insulin than required and end up with hypoglycemia. All in all, these sugar ups and downs are another major set-back for me. So when I went to my docs for my quarterly blood test last week, I was expecting a huge jump in the figures putting me back into square one. I couldn’t believe it when the nursing assistant said Hb1Ac was 6.3, same as last quarter. This would mean that if I had continued my low carb diet, I would have had an even better reading! So I have managed to maintain the same reading while consuming more carbs by injecting more insulin. Not satisfactory for me but nevertheless, better than an increased Hb1Ac. Well, I am not sure how to continue. I am now trying to cook meals during weekends to freeze and hope to find more easy low carb stuff to pack for lunch every day. I am not the ‘raw vegetable sticks’ type of person. Once thing is for sure – I’ve got to try my best to keep that Hb1Ac figure down! But let me enjoy Easter first!! Well, the world did not come to an end, so I am now obliged to write this post …a summary of how I’ve coped with keeping my blood sugar in control from October to December and what I’ve been doing. Happy to report that my Hb1Ac went down one point to 6.3. I was there before but it went up. 😦 So I’m glad that it went down to this level again. I discovered something interesting last quarter. In my last summary, I reported that my Hb1Ac value was 6.4. This was measured by my endocrinologist. Four days later, I went to my GP and he did a blood test to check other stuff. I was told that my Hb1Ac was 6.8 and I got a bit of a shock. This time around, I questioned my endocrinologist about it and he said they use a different measuring method! So which is more accurate now? Well I’m going to believe the endocrinologist cos he is the diabetes specialist, and make myself happy. So beware, this may be happening to you too! Different testing methods result in different values! Another good thing happened recently. I was having pain in my right elbow for a long time (about 2 years) and the doctors have diagnosed this as ‘golf elbow’. I got cortisone injections and went for acupuncture,physiotherapy and chiropractic adjustment but nothing helped. If anything, things got worse and then the pain started in my left arm too. After reading another of those health books, I started taking vitamin supplements – Vitamin E, Magnesium, Zink, Calcium, Vitamin D. Yikes, I’m turning into a hypochondriac! Just noticed the other day that I haven’t noticed the pain in my elbows for some time now. When I press the spot, it doesn’t hurt anymore! I’m sure it’s the vitamins but which one did the trick, I don’t know – although I think it’s the Vitamin E. So a tip if you are having problems which no one can pinpoint. In your next blood test, get your GP to check your vitamin levels. Funny, I’ve been to so many doctors and no doctor even thought about checking this. I haven’t been experimenting much with new recipes lately cos I’m quite happy with the way things are. I’ve got my staples and work around them. What I did was to buy two low carb bread mixes from a German online shop to see if they were better than mine. I don’t want to mention which products I tried (anyway, I think if you don’t live in Germany you probably won’t come across them). They were a lot worse than my low carb sunflower bread :). The first loaf I baked was ok in texture – a little less rubbery than mine but it lost out on taste. The second one was like eating rubber. My husband refuses to eat anything so I’m slowly eating my way through the two loaves. Still contemplating dumping the rest in the bin. To sum up my year, I can say that it has generally been a good year for me – glucose-control wise. Doctors are happy so I’m happy. 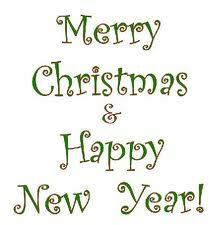 On this note, I’d like to end off today and wish everyone a very Merry Christmas and a Happy New Year! Time for my next quarterly report on how I’m coping with keeping my blood glucose values down. Good news – my Hb1AC went down to 6.4. Another surprise as I haven’t been able to stick to a 100% low carb diet nor have I been taking my stinging nettle tea consistently and the okra juice cure has been dropped (getting a regular supply is a pain). All other values (blood pressure, cholesterol, etc, etc) seem to be good too. I was expecting the worst so I left my doctors office with a big smile on the day of my visit! Now if only I could figure out why my Hb1AC went down. Alternating between eating low-carb bread and scrambled eggs with bacon every morning can’t be the solution! Which reminds me, I’ve got to go bake another loaf… Bye for now. Oh bummer … it didn’t really work properly! What didn’t work you ask? Last quarter, I reported that I was trying out various things which were purported to reduce blood glucose levels, namely taking okra (ladies fingers) juice, lemon juice and stinging nettle tea. Sadly, I’ve had a set-back. My Hb1AC climbed back up to 6.6. I was hoping it would go the other way! However, it is still less than it was at the beginning of going low carb. Small consolation! Ok, I must admit that when Christmas came around, things started to go off track. This really isn’t the time of the year to be ‘good’ – well, at least I don’t have the willpower. And then my daughter started forgetting to buy me my supply of ladies fingers. Do you think that made me mad? Well, heck no. At least I was spared having to drink this stuff every day. Making a big batch of stinging nettle tea and having to sip the whole thing throughout the day, every day, was also a chore. I started making the tea every other day and then it dwindled from there. And drinking lemon juice every day? You probably shouldn’t take too much of it anyway. Since January I’ve also started working and have therefore, not had the time to make my low carb noodles and spaetzles. Nor have I had time to experiment much. Eating properly really takes a lot of discipline and time. I think I’ve had more carbs than I really should have had. So actually, I can’t really say that my little tricks didn’t work. It’s really my fault for not faithfully taking them. The conclusion is … if you don’t take the juices/teas every day, you will see no or little benefit. Nevertheless, it is probably a good idea to do these cures once in a while to keep your blood ‘clean’. My last blood test in February showed very good results everywhere – except for the sugar part of course 🙂 . So not all was in vain. Don’t know what I’m rambling on about? – read my last quarterly summary. Ciao till the next quarter! 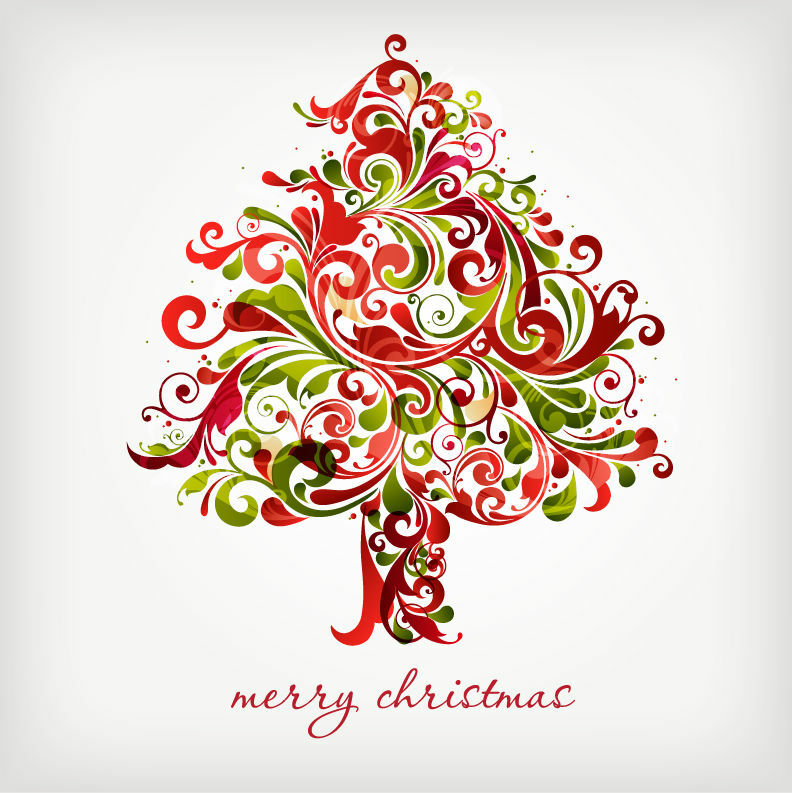 Merry Christmas and Happy New Year to everyone – whether you’re following my posts or just happened to stumble onto this page! This’ll be my last post for the year. As Christmas approaches so does my stress level even though I try not to do too much 😦 . At the end of October I decided I didn’t have much to write about so I would change my monthly summaries into quarterly ones. Having already written a quarterly summary for July to September, this seemed like a good time to make the change. Besides, since I have to visit my doctor every quarter, it seemed to make sense to time a summary after a visit.